Discussion in 'Multiple / Other Voice Synths' started by bio, Aug 8, 2016. 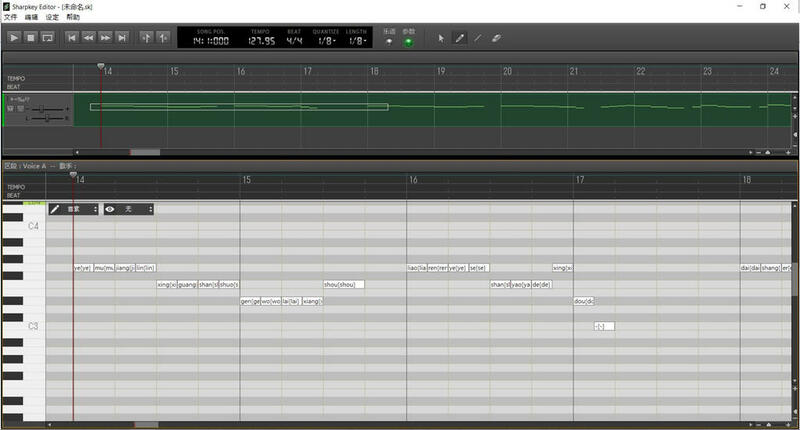 Sharpkey is a Chinese Vocal Synthesis software made by Boxstar, that worked on Sharpkey three years! 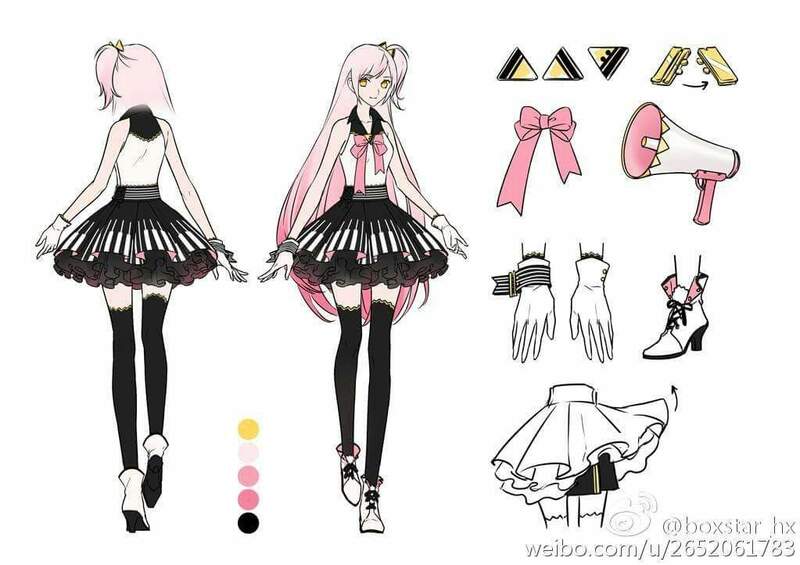 For now, there is only one voicebank, a girl named Huan Xiao Yi, but in the future it will be possible for fans to create their own voicebank, like UTAU. Recently, Boxstar released a demo for Huan. Huan's language is Chinese. She is 17, her birthday is in July 21. Her height is 165 cm. Boxstar is working on an English translation, but I don't know when he will release it. Jaap Vandenbroucke, jasmin00, Buck and 9 others like this. sailor _ravioli, iGSS55, azazel and 4 others like this. Jaap Vandenbroucke, azazel, sailor _ravioli and 6 others like this. It is so smooth. It's amazing. I'm ready to say almost Vocaloid quality smooth, but I doubt it's much like it. I am in love with this synth program right now. You can visually control transitions... I'm sure that if you're Chinese or fluent in Chinese, it would be amazing and so easy to use. Unfortunately, I'm not sure that most of the people here know Chinese.. 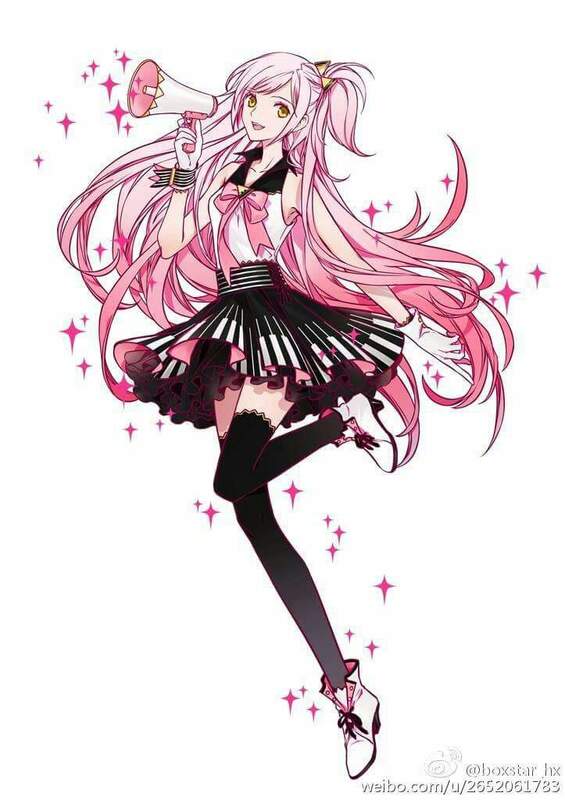 If it's like NiaoNiao VB creation, English voicebanks would be extremely costly in time and effort to make and would mean UTAU would still be the best Vocaloid alternative in English. However, if it's more like how I think it's like (simply due to its amazingly HQ smoothness)... Then expect some VERY different reclists :P. Of course, it could just be like UTAU wth the ending consonant parameter, but I doubt that. I'm so so excited to see how this will go!! Jaap Vandenbroucke, riptunes, 幸兔雪 (Yukito Yuki) and 1 other person like this. Jaap Vandenbroucke, 幸兔雪 (Yukito Yuki) and Skiyoshi 十三 like this. Yes, I figured you would have posted here. I absolutely love Sharpkey. It's beautiful. Hopefully it becomes big that eventually UTAU voicebanks may be imported there like Cadecii (but unlike Cadencii, it actually updates). Its engine seems to have a lot of potential. Jaap Vandenbroucke, azazel and 幸兔雪 (Yukito Yuki) like this. Just listening to how smooth she sounds is crazy. As soon as this is updated with an English UI and the ability to make your own voicebanks, I see this becoming REALLY popular with the western Utau crowd. I'm certainly keeping it in mind. Jaap Vandenbroucke, Olivia091220034, Sheanna122 and 3 others like this. Olivia091220034, azazel, kamonohashi and 4 others like this. Ok, so is there an alternative way to download this stuff? I registered, did the whole cellphone number thing, but now it won't let me log in on either the client or the website, even though it logged me in automatically right after the registration process. I've been fighting with it for 30 minutes now and I'm kind of sick of it. Do we need to change locale for this? You don't need to change locale. My friend uploaded the files on his website for his friends (and me :P) but I'm not sure if I can freely give out the link. I really hope you don't just import UTAU voicebanks into SharpKey. It would kinda ruin it's uniqueness. And obviously there's something different about how this works, as it is much smoother than UTAU usually is. Probably smoother than UTAU ever will be, and it has several different functions. I'd be happier if we could make a bank just for SharpKey. Also it says the link is not right? I assume I have to sign up to this site? EDIT: Nevermind, it just didnt want to work for a moment. Jaap Vandenbroucke and 幸兔雪 (Yukito Yuki) like this. Yah I'm the one that uploaded it to my server for my friends and such. If you don't want to make a Baidu account or want a faster (ie not 2 hours) download then just message me and I'll send you a link. She has Vocaloid2 style breath samples (br1 - br5). Unlike Vocaloid, they do not stretch if you draw the note longer than the sample and instead the breath will play at the tail end of the note, but the sample WILL be shrunk down to fit in a shorter note if needed. If you type in something she cannot sing, she will replace it with "la"
Because I know nothing about her language, I've been using this chart to figure out phonemes for her. She seems to be capable of singing all of the proper combinations as well as some (but NOT ALL) of the combinations left off of this chart. Jaap Vandenbroucke, Aura Autumnus, kimchi-tan and 3 others like this. Mandarin does not any consonant-isolating pronunciations with the exception of words succeeded by 兒 at the end of a sentence such as 那兒 so it's understandable. Can she do the "er" pronunciation? Yes she can. And I was just testing to see if she could isolate consonants because Vocaloids are capable of doing that with certain sounds, even when it's not considered normal in their language. MillyAqualine, 幸兔雪 (Yukito Yuki) and kimchi-tan like this.